Lay a large piece of plastic glad wrap across the bench. Place the first sheet off puff pastry in the centre of the plastic wrap. Spread 1 ½ tbsp of mustard across the pastry, ensuring there’s a ½ inch border on all sides. Lay six slices of DON Ham, overlapping as needed, and sprinkle 1 cup of cheese. Roll the puff pastry into a log and trim the ends. Then wrap the log in the plastic glad wrap. Place in refrigerator for 20 minutes. Repeat steps 1-4 for the second log. Once the logs have chilled, use a sharp knife and cut each log into ½ inch wide slices. 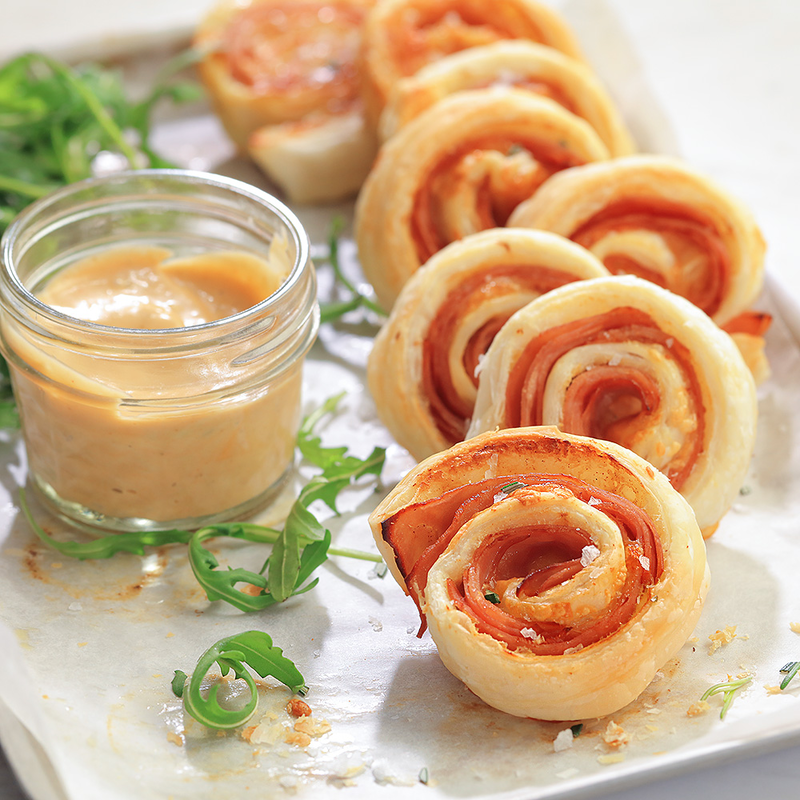 Once cooked, let pinwheels cool and serve at room temperature.